Head over to get one of these Mermaid Swimming Tails for ONLY $16.99 (Retail $89.99)! When your kids are out in the water, they may often dream of being a mermaid, skillfully flopping their tails in the water. But with our mermaid swimwear costumes, that dream can become more of a reality. You will feel like a dazzling maiden of the deep as you glide through the glittering waves. This mermaid tail package includes a fin with foot straps and is perfect for light swimming! 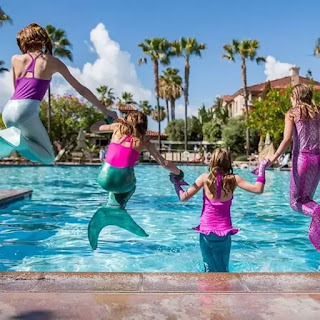 Shimmertails can be used on land, as a costume, or in the pool.